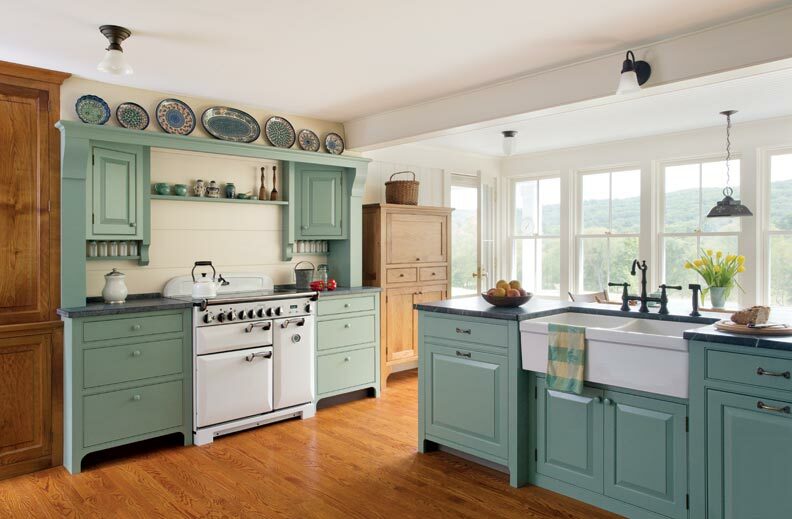 As part of the rebirth of an 1830 Connecticut farmhouse after a fire, a modern kitchen is designed to fit in. In the house, all windows and trim are original or exact copies of the originals. The new three-coat plaster was left unpainted. 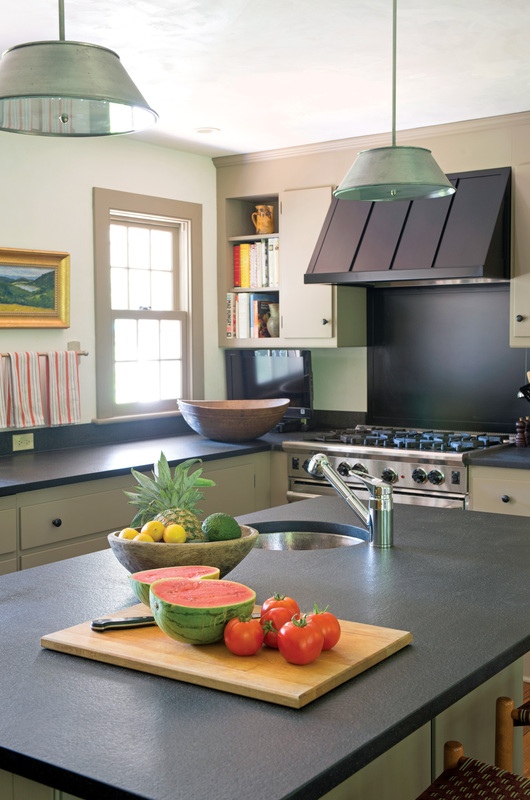 Countertops are Absolute Black granite with a matte, leathered finish. Design of the kitchen cabinets and hardware was kept very simple. top right: Based on its framing and the historical society’s estimate, the vernacular house built with a one-storey ell dates to about 1830. 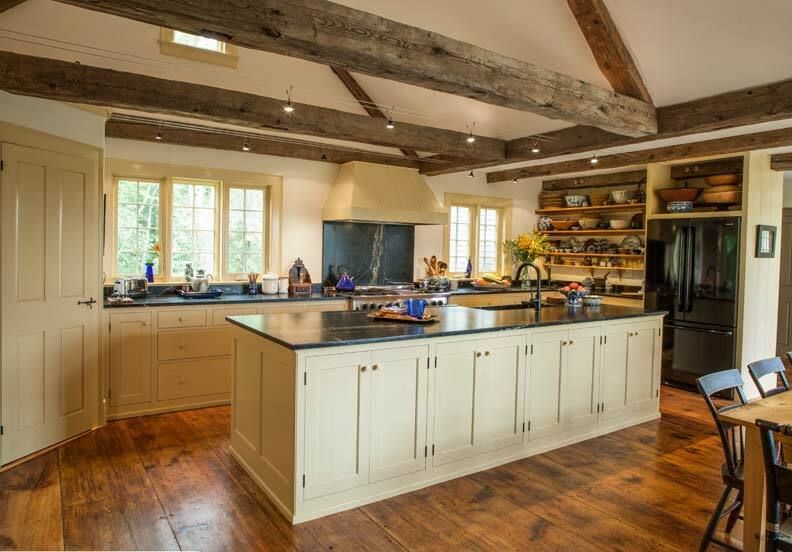 This new kitchen came about as part of the sympathetic renovation of a Connecticut farmhouse after a fire. The house was saved by the fire-resistant original plaster walls. But parts of it were severely damaged from smoke and water. Inspections would also turn up structural problems and areas that needed to be brought up to code. 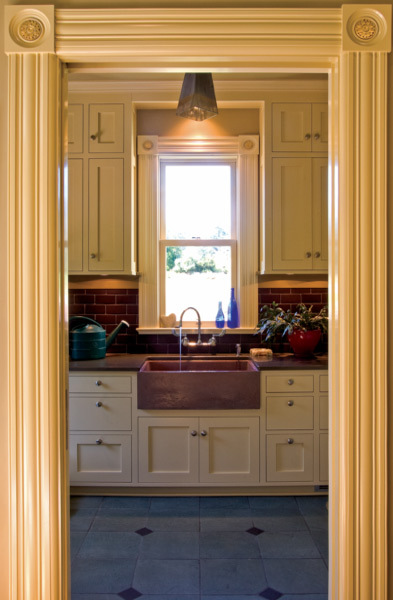 The absence of wall-hung cabinets on the window wall is period- sensitive and opens up the room. The custom range hood (www.betlan.com) is standing-seam metal with a powder-coat finish. Custom hardware is wrought iron. Sarah Blank, a Connecticut native who continues to study classical architecture, has been involved in the restoration of houses dating back to the mid 1700s. “I spent a lot of time with Thomas Hubka’s Big House, Little House, Back House, Barn,” she says, referencing a seminal book about New England’s historic vernacular dwellings. “When I got here, I realized that this house is a jewel, its classic simplicity untouched.” The main block is the “big house,” with a “little house” connector to a “back house” later addition. Sarah insisted that the ell and back house remain secondary to the main house in size, finishes, and importance, but original proportions carry throughout the whole. 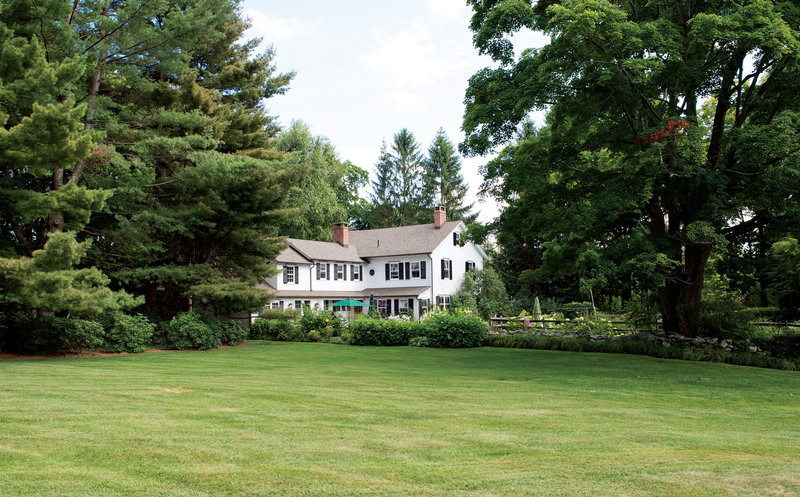 See more photos of this farmhouse. New walls are hand-troweled, three-coat plaster on wire lath—“there’s no drywall anywhere in this house,” Sarah says. In the kitchen, walls were left unpainted, their hard surface beautiful as-is. 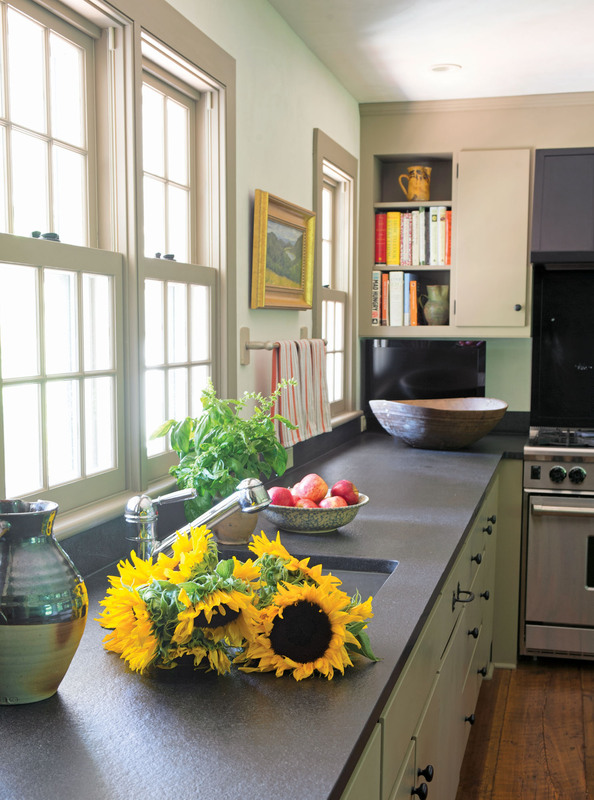 Neutral-grey paint on the cabinets softens the transition from the pale plaster to the black granite countertops. The kitchen design is frank, simple, and functional.